Perfection – that’s a tall order. Why do we believe this person is out there? The media is an obvious target when we try to place blame, but let’s face it, when it comes to the obvious (magazine covers with skinny, crack addict-like models influencing girls to become anorexic), the blame becomes monotonous. How about blaming ourselves for allowing the media to mess with our minds? It is about time that we acknowledge the fact that what the media portrays in its ads and programs represents less than 1% of the population. 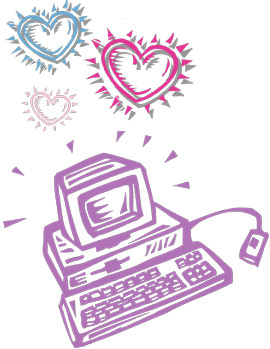 Technology has created yet another outlet in our search for that ‘perfect someone.’ Before we were limited to our local surroundings, now we can simply get on the ‘information highway to love.’ Here we can meet with people from across the globe and fall in love with someone in a chat room entitled, ‘Lonely and Looking.’ Until reality sets in. Then we realize that this new love isn’t real, but is instead a figment of our imagination; that in truth we are in love with words being typed by an unknown entity. That ‘perfect someone’ could actually be a criminal typing from their cell. The real reason he is never free to visit you isn’t because the CIA forbids him from leaving his top-secret mission in Uruguay. It is because his last appeal didn’t work out and in three weeks he is being transferred to a maximum-security prison! Have I ruined your fantasy? Already looking through the telephone book for a psychiatrist? If so, STOP! Deep down we have known all along that our ‘perfect someone’ would be impossible to find. Now is the time for us to simply enjoy our lives, be ourselves, and find the one that won’t make our dreams, but will share in them.